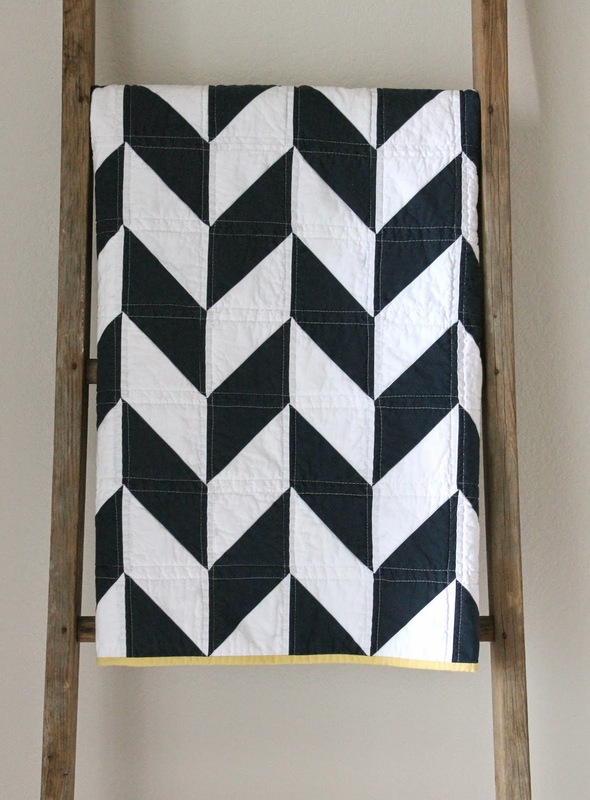 craftyblossom: navy and white nautical herringbone quilt. 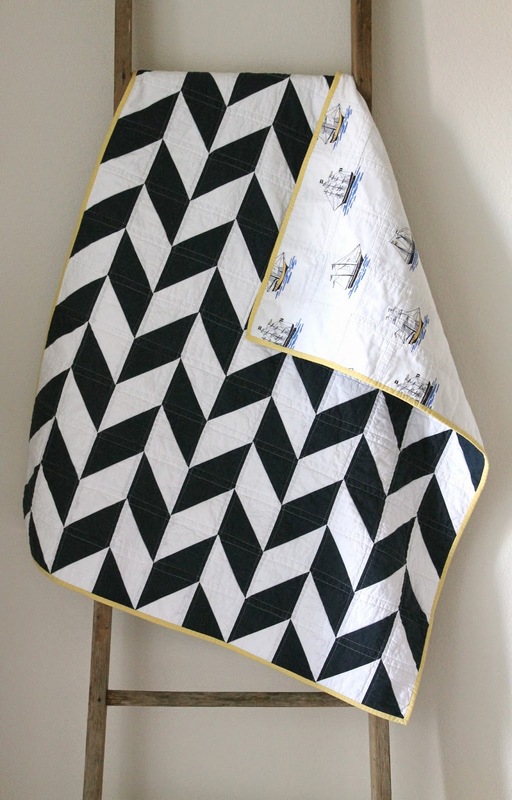 navy and white nautical herringbone quilt. 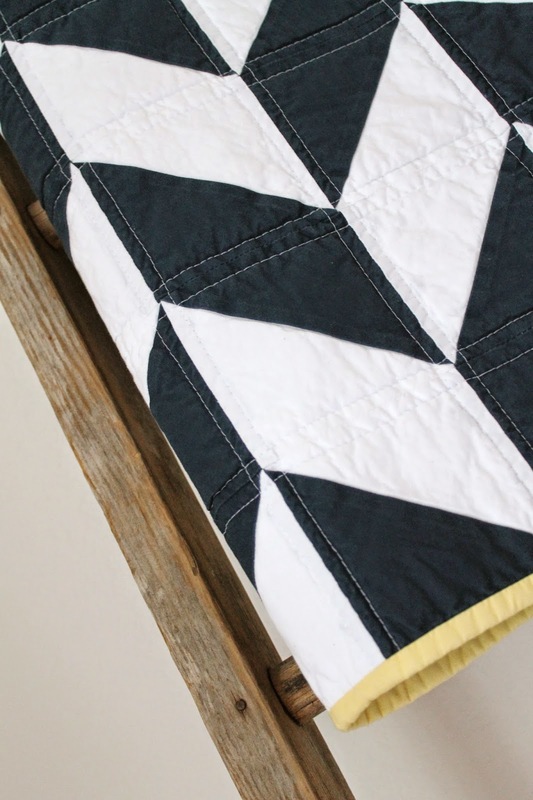 A very clean and simple half-square triangle herringbone quilt. The backing is a lusciously-soft Michael Miller print. Oh and be sure to check back here on June 2, for a chance to win a fat quarter bundle of American Made Brand fabrics! this is fabulous! the simple herringbone is the perfect match for that backing fabric! Very strong and beautiful pattern; perfect lining. This is so classic. I love that you make quilts that can be heirlooms for generations. Do you sell patterns? I'd love to make something like this but I'm still a beginner!